Bamboo handle toothbrush with charcoal enhanced bristles that is claimed to provide a better clean and help mouth odour control. 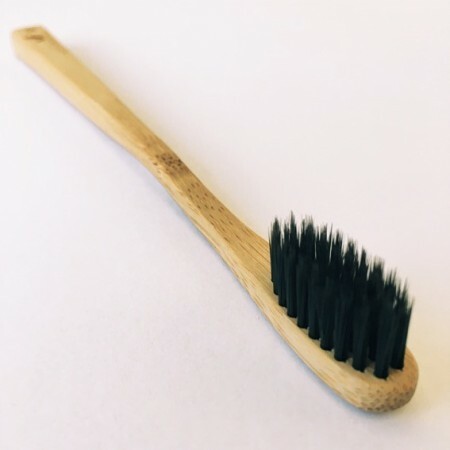 With a biodegradable bamboo handle, this charcoal toothbrush is a sustainable alternative to non-recyclable plastic toothbrushes. Available in three charcoal toothbrush styles: Adult soft and Medium, and Child. The bamboo charcoal toothbrush bristles are claimed to contain charcoal reactive ion which adsorbs the dental plaque on the surface of teeth. Ultrafine ends of the bamboo charcoal enhanced bristles can go deep into the various gaps between the teeth for deep cleaning, and have a super adsorption capacity that takes care of gums and protects while brushing. Made from MOSO Panda friendly bamboo, the bamboo handle will biodegrade in compost or the earth. 30 million plastic toothbrushes that are used and disposed of each year in Australia that can not be recycled! Hard plastics that are not containers such as toys and toothbrushes can not be recycled through standard household recycling programs. *About the bristles: The bristles are made from Nylon 6 and thus this toothbrush is not 100% plastic free nor 100% biodegradable. 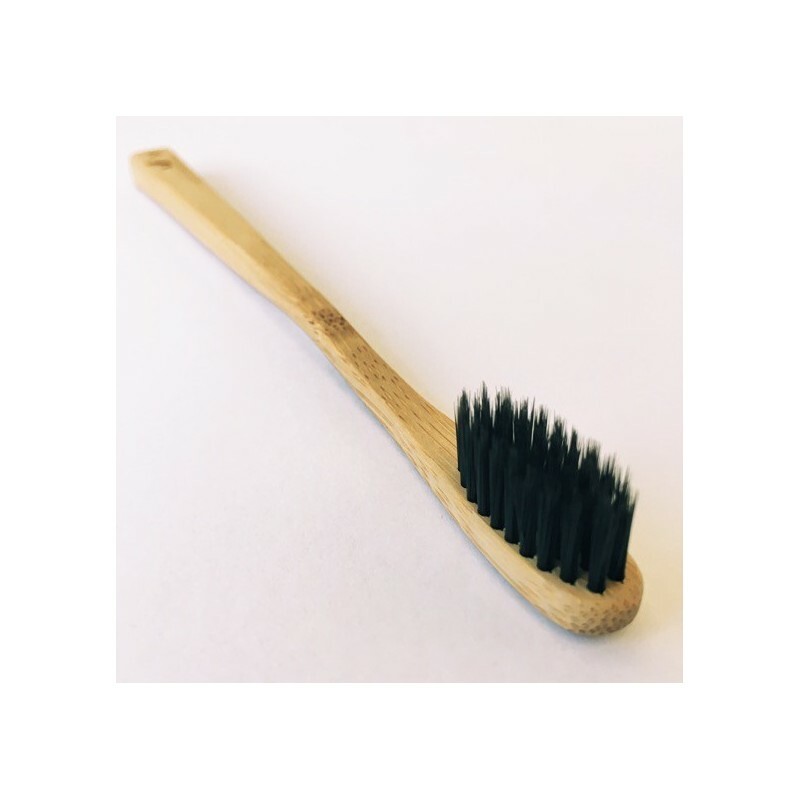 For those seeking a completely plastic-free brush, the only option is animal hair bristle. We believe it is not possible to make a bristle from 100% bamboo or other plant oil as there needs to be some form of synthetic binder). Before composting, remove the bristles and place in your bin. Bamboo is an abundant renewable timber that grows rapidly without the use of pesticides - far preferable than a plastic handle made from non-renewable, polluting petrochemicals. Environmental Toothbrush is an Australian owned company with a commitment to sustainability. Slight bend in the handle for comfort.